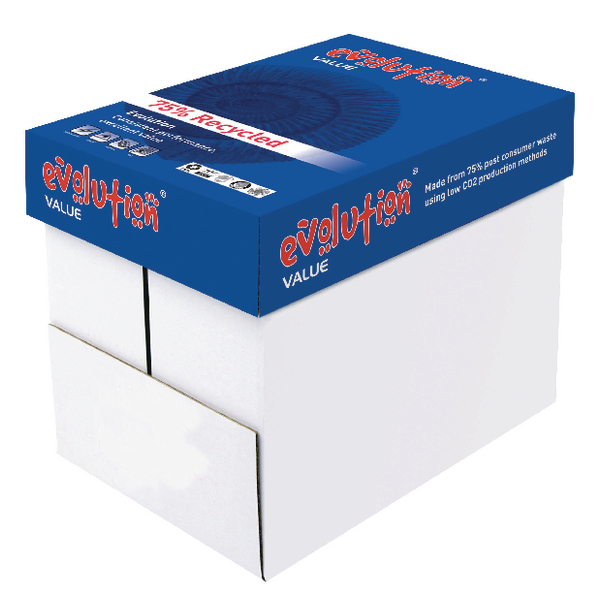 Giving you a cleaner, brighter surface to print against, Evolution White Value Paper is ideal for printing documents that are clear and easy to read. 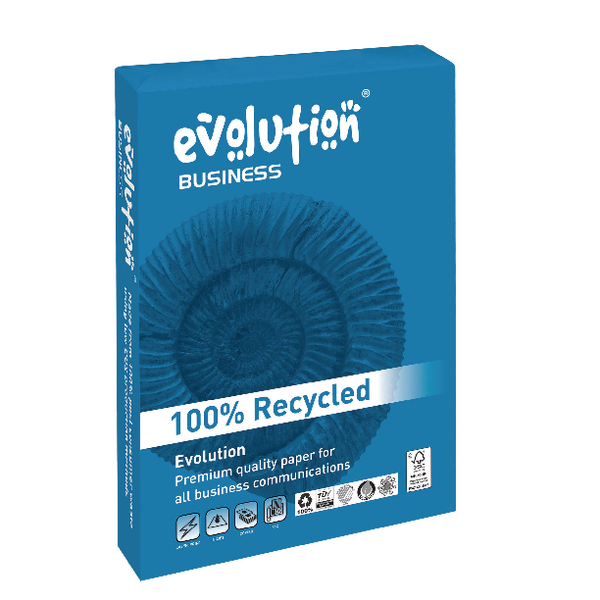 The paper is made from up to 75% recovered fibres, limiting damage to the environment and is bleached without chlorine. The paper runs through your printer with the maximum level of ease, reducing the amount of paper jams and misprints that occur, saving you time and effort. A4 in size, the paper has a weight of 80gsm and is supplied in a pack of 5 reams.